Tea tree oil is the natural spot treatments available as a natural remedies. These oil is extracted from the Australian melaleuca alternifolia leaves. Tea tree oil is very concentrated oil. You should be used without diluting, only when it is required. You can be applied a drop or two of pure tea tree oil on pimple. If it is overuse, your skin become rough and feel irritated. Apply oil with cotton bud and wash it off after 15-20 minutes. You can use twice in a day on pimples. Tea tree oil, has a quality of antibacterial, antifungal, antiviral properties, which helps to prevent bacteria. This oil works on the blackheads and whiteheads on the face. You can mix few drops of tea tree oil with 1 tablespoon of aleo vera gel. Apply mixture on your pimples. For calming angry pimples, you can use manuka honey which is very effective in fighting with pimples. Raw honey also you can use, it will works well. Honey has a property of healing, also antibacterial, antiseptic and hydrating properties. You can apply honey on all over face or on pimple also. Honey is non-irritating agent, which helps to clean the face. You can use honey as a spot treatment. Honey is one of the home remedy, which acts on the existing pimples also. Honey is works as a natural antiseptic, which soothes and heals the skin. You can apply honey on your face with cotton swab. You can directly put it on affected area of face. Leave it for 15-30 minutes. Apply it at least 3-4 times a day. Make the paste and apply it over the pimples before going to the bed. In the morning, wash the skin with cold water. You will find less inflammation or swelling on pimples. Lemon juice is rich in vitamin C.
Lemon juice is helps to prevent and reduce the pimple. It also helps id dries up the pimples. Lemon helps to reduces oil,kills bacteria, scar of pimples and also reduces the redness. It is a natural treatment to get rid off pimples. Apply fresh lemon juice with using cotton swab or ball over the pimples before going to the bed. Do not use bottled or packed ready made lemon juice, which present with preservatives. You can use lemon juice with mixing cinnamon powder. apply it on pimples overnight. In the morning, wash it with lukewarm water. Cucumber is a rich source of vitamin A, C, E. And also rich with potassium. 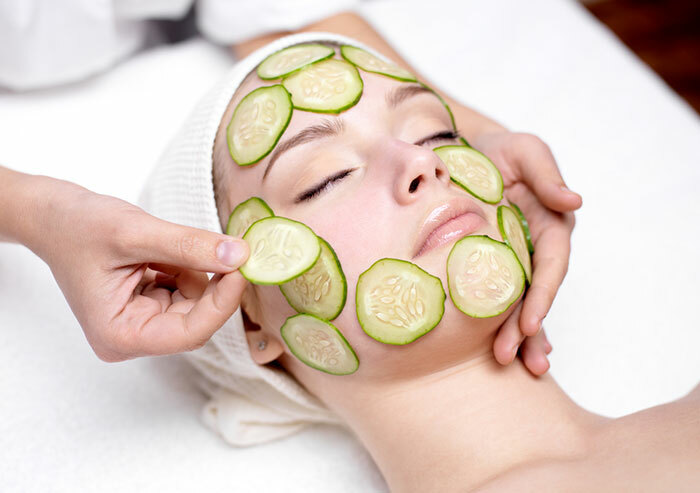 Cucumber is gives soothing and cooling effect to your skin. Cut the cucumber into the slice and soak it them in water for about an hour. You can strain this water and use it for drinking or you can wash your face. It helps to prevent the pimples. You can grind the cucumber and make it paste. Apply it like a mask on the face. Allows to dry it for 15 minutes and then wash it with warm water. Cucumber helps to clean germs or bacteria and dirt from pores. You can use slice of cucumber on your close eyes, which gives you soothing effects to your eyes. Papaya has a property of antioxidant vitamin A and enzymes. Papaya helps to reduce inflammation. It helps to makes your skin soft and smooth. Make paste of papaya pieces and extract juice from it. Apply it on the pimples for 10-15 minutes. You can use papaya paste as a exfoliating face mask. Mix little honey with the papaya paste and massage gently on the face. Leave it till dries completely and wash it off. Baking Soda is a kitchen product, which helps you fight against pimples. You can use mixture of baking soda and lemon juice on face skin, which helps you to keep face pimple free. You can use baking soda for neutralizing the skin’s pH, imbalance of pH is one of the cause of pimple or acne. 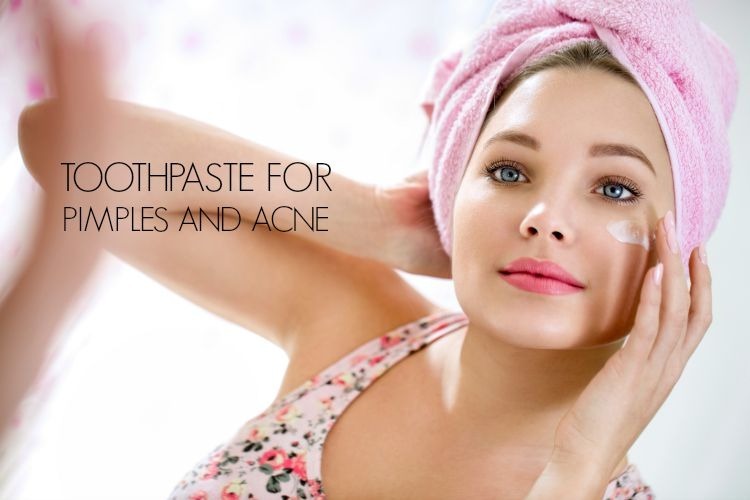 Baking soda helps in removing extra oil, dirt and dead cells from the face. Baking soda mix with the water and apply on the face, it helps in cleansing and exfoliating your skin. You can make thick paste with mixing one teaspoon of baking soda, water or lemon juice. Use on pimples and allows to dry it for few minutes. Do not keep baking soda on longer period more than few minutes, which can damage your skin, feels irritate and dryness occurs. You can wash your face with warm water. You can repeat the process two times a day for quick result. Lavender essential oil, is always use for soothing and calming the skin. You can use as a spot treatment for prevention pimples and also get rid of pimples. Lavender essential oil is having healing properties. You can used on burns and also beneficial for pimples as a treatment. This oil helps to cleanse pores, and use as minimizing the pimple appearances. You can apply undiluted oil directly on the pimples. 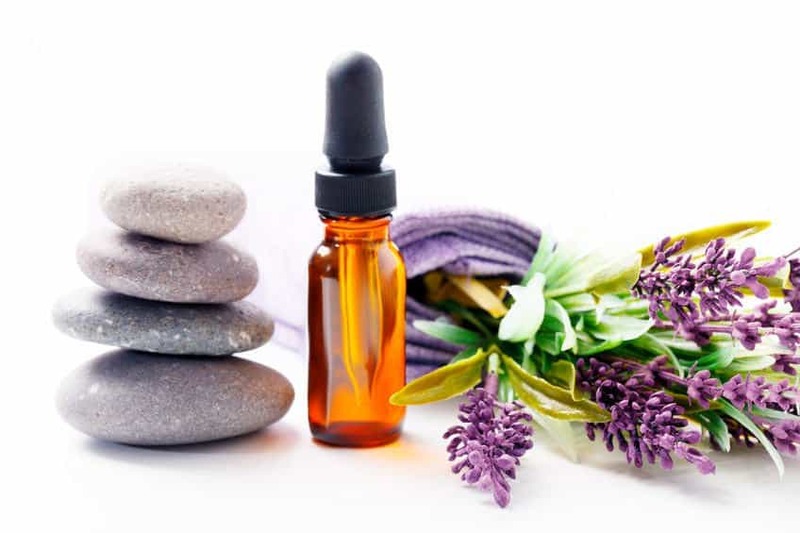 You should not use concentrated lavender essential oil other than pimple area, which results irritating face skin. Aleo vera is a plant which look like a cactus. Aleo vera is having the medicinal properties. You can take piece of aleo vera and rub it on pimple. This piece of aleo vera gently massage on the skin . Leave it for 30 minutes and then wash it off with hot water. You can be used aleo vera as moisturizer for face, a face mask. It removes excess oil from the face skin. Aleo vera shows wonderful result in preventing and treating acne or pimples. Aleo vera has a property of healing. It helps damaged skin to heal faster. Presence of pimple or acne on face, it inflamed and becoming red. To get is cool you can use ice cube. The ice reduces the redness and inflammation, which is occurs due to pimple. You can take ice cube in clean cloth and gently press against the pimple till you can tolerate. You can make ice cube with using strong green tea, which have anti-inflammatory and antioxidant properties. It helps to reduce sebum production. Applying of ice is removing the dirt and oil from the skin. You can use as a crushed ice routinely to get rid of eruption. Wait for a few minutes and repeat same process again. You can use toothpaste on pimples to get rid it off. Toothpaste contains baking soda and hydrogen peroxide, which dry out pimples and helps to reduce the size of the pimples. You can use only white, fluoride-free toothpaste. Do not use coloured or teeth whitening toothpaste on a pimples. Toothpaste may irritate or even burn the other surrounding skin, if using other than pimple area. You apply it directly on the affected area or on pimple. Keep it for overnight and then wash it with water. Your pimple size may get reduced. If you want, you can repeat the process in day time. Only make sure you can keep at least half an hour and then wash it. Steaming is always good to make our skin healthy and fresh. It increases the blood circulation, which helps to prevent the pimples on face. Steam helps to open the pores of the pimple and skin can breathe easily. Skin breathing helps to get rid of extra oils, bacteria and dead skin on the face. Steamed your face skin for a few minutes. Dry it with clean cloth and then apply an oil free moisturizer on the skin. Garlic is known for an antiviral, antifungal, antioxidant and antiseptic agent. Sulfur is present in the garlic, which has a property of healing pimples. Cut the garlic clove and rub it on pimples. Leave it for 5 minutes and then wash the face with lukewarm water. You can repeat the process for several times a day. You can eat one raw garlic clove daily, it helps to purify the blood. Do not eat too much garlic cloves , which upset your somach. Tomatoes are easily found everybody’s kitchen. You can apply tomatoes fresh juice for pimple treatment. Tomato juice is a natural astringent for shrinking the pimples. Tomatoes having contain of vitamin A and C, also having pimple-busting material. You cut the tomato and rub the juice from the slice on the pimples directly. You have to repeat the process two times a day. You should not take the stress, which is a common problem of your pimple. When we are under stress, body is produces stress hormones. Stress hormones leads to the pimples. Lining of the hair follicle becomes thicken because of the hormone, which causing whiteheads and blackheads. When it is infected through the bacteria ti turns into pimples. To avoid pimples you should not take stress, you have to take chill pill.